US and China are struggling for strategic space in South China Sea (SCS)and on the Issue of North Korea. While the infrastructure development by China in SCS being dual use(civil as well as military), based on sovereignty rights as per perceived historical claims keeps progressing, it is viewed as strategic encroachment by US , regional claimants, and other users of SCS, the strategic and military posturing by US on the claim of ‘Freedom of Navigation’ is considered as disturbance of regional peace by China. The other regional problem of North Korea continuing nuclear adventure, and despite China being party to UN Resolution is being looked upon to put more pressure on them, being their economic lifeline. The continuation of nuclear adventure by North Korea means either China does not have enough leverage on North Korea, or China is deliberately not putting pressure on them, to use them as front line state against influential zone of US including South Korea. It will be interesting to watch this strategic struggle in near future. 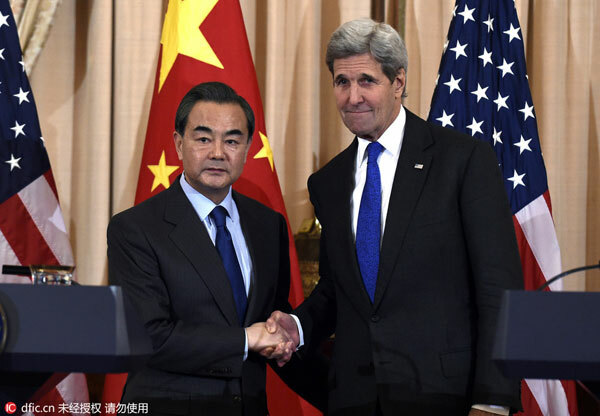 The South China Sea and the Democratic People’s Republic of Korea (DPRK) were just two of a long list of topics covered by visiting Chinese Foreign Minister Wang Yi and US Secretary of State John Kerry when they met in Washington on Tuesday. Wang reiterated China’s stance on the South China Sea, saying he and Kerry agreed to have further dialogue on the South China Sea to deepen mutual understanding. “In particular, it’s important to prevent any miscalculation,” he said at a joint press conference with Kerry after a hours-long bilateral talk. “The islands in the South China Sea have been China’s territory since ancient times, and China has the right to safeguard its territorial sovereignty,” Wang said. While Kerry expressed his concerns over the militarization in the South China Sea by some countries, Wang said China, the US and ASEAN countries have all committed to non-militarization. But he noted that non-militarization is not the responsibility of one party alone. “It’s something that we share,” he said. Turning a deaf ear to China’s calls for honoring its promise not to take sides on the maritime disputes, the US has since last October sent warships and military jets to deliberately violate China’s territorial waters in the South China Sea. China does not hope to see any more close-up military reconnaissance or the dispatch of missile destroyers or strategic bombers to the South China Sea, according to Wang, clearly a reference to the high-profile US military presence in the region. At the press conference, Kerry said that the United States has the so-called “freedom-of-navigation” right in the South China Sea. While frictions are making headlines, Wang said that China and the US have far more common interests than areas of disagreement. Wang also revealed that the United Nations Security Council has made important progress in its consultation on a new resolution regarding the DPRK. “We are looking at the possibility of reaching agreement on the draft resolution and passing it in the near future,” he said in a joint press conference after the talk. Wang said China and the US do not accept DPRK’s nuclear missile program. “We do not recognize DPRK as a nuclear weapons state,” Wang said. It was the third meeting for the two in a month. He said once the agreement was passed, it will effectively limit further progress of the DPRK’s nuclear missile program. But Wang emphasized that the resolution cannot provide a fundamental solution to the Korean nuclear issue. Wang and Kerry agreed that the goal is to go back to negotiation. Wang talked about China’s new basic proposal of pursuing in parallel tracks the denuclearization of the Korean Peninsula and the replacement of the Korean armistice with a peace agreement. He said China is open to new ideas, but added that the parallel track approach is a reasonable one. It highlights the overriding goal of denuclearizing the peninsula at the same time it seeks to address the major concerns of the various parties. Wang said he and Kerry feel that the situation on the Korean Peninsula needs to be monitored very closely in the coming two months. “Various factors of instability might intertwine and have an impact, so under that situation it’s very important that the various parties have more dialogue so as to prevent the heightening of tension or escalation of the situation,” he said. 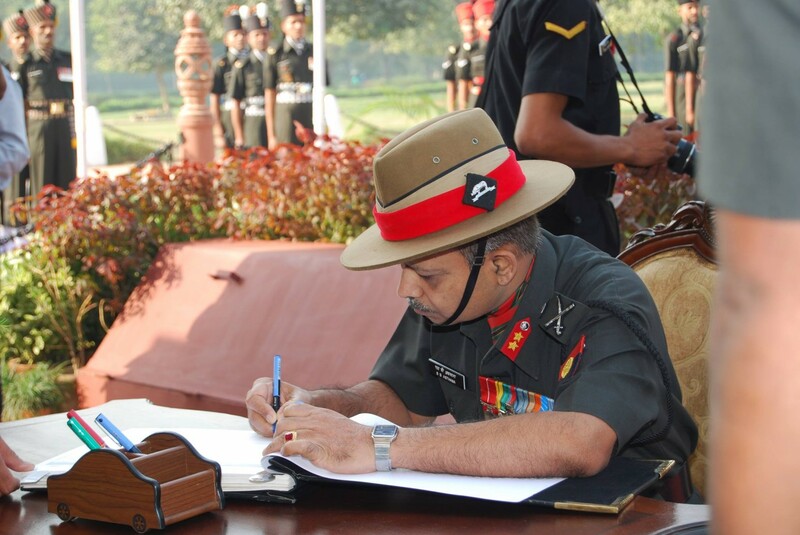 He emphasized the need to prevent the situation on the peninsula from spinning out of control. “That is a scenario that neither China nor the other parties wish to see, so China hopes that the relevant parties will not take any action that might heighten tension on the peninsula,” he said. One of the topics for the two top diplomats is a series of high-level meetings this year. Wang said China supports the US in hosting the 4th Nuclear Security Summit in Washington in late March and early April, and the US supports China’s hosting of the G20 summit in East China’s Hangzhou in September. The two sides agreed to work together to ensure the success of the next rounds of the Strategic and Economic Dialogue (S&ED), the High-Level Consultation on People-to-People Exchange (CPE), the Joint Commission on Commerce and Trade (JCCT) and the joint high-level dialogue on combating cyber crimes and related issues. Xinhua contributed to the story.